Clinical anesthesiologists, particularly residents, work in stressful environments. However, evidence-based physiological and psychological tests to evaluate stress are still lacking. 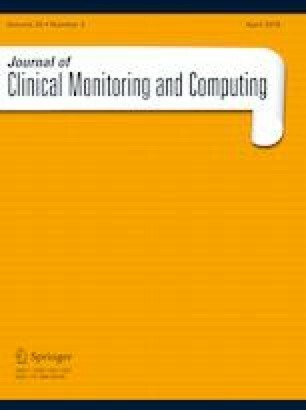 In this single-center study of 33 residents, we investigated the relationship between heart rate variability (HRV), which had the potential to screen residents’ stress levels using Holter electrocardiography (ECG) and psychological mood as assessed by the Profile of Mood States (POMS) questionnaire. HRV analysis revealed 2 findings. Firstly, standard deviation of the average of 5-min normal-to-normal R–R intervals (SDANN) was significant lower than that of same-aged healthy volunteers (69.3 ± 27.9 vs. 137.0 ± 43.0 ms, P < 0.05), which indicated suppression of autonomic nervous system activity throughout their work. Secondly, at induction of anesthesia, significant higher low frequency/high frequency ratio (LF/HF ratio: 1.326 vs. 0.846; P < 0.05) and lower HF (3326 vs. 5967 ms2; P < 0.05) and lower standard deviation of normal-to-normal R–R intervals (SDNN: 50.5 vs. 79.4 ms; nervous system was suppressed at the induction of anesthesia: expected to be the most stressful period of their work. On the other hand, deviation scores of POMS questionnaire elucidated that all the residents were within normal range of psychological mood, and without any significant diurnal changes with respect to total mood disturbance deviation (TMD) scores (48 vs. 47; P = 0.368). HRV elucidated physiological stress among anesthesiology residents quantitatively by evaluating autonomic nervous activities, especially at induction of anesthesia. These changes in HRV could be observed regardless of psychological mood. We are grateful to everyone who helped us successfully complete this research study, especially Kanji Uchida of the Department of Anesthesia and Pain Relief Center at The University of Tokyo Hospital, for providing logical and objective guidance for our study and statistical advice, and serving as the chairman of the resident educational working group in our department. KH contributed to conceptualization, data collection, formal analysis, methodology and preparing the manuscript. MA contributed to conceptualization, data collection and editing the manuscript, MO contributed to statistical support. NI helped data collection and approved the final manuscript. SK attested the psychological mood evaluation. YH helped data collection. YY helped conduct the study as the supervisor and approved the final manuscript. This study was funded by Grants-in-Aid for Scientific Research (KAKENHI) No. 26670244. This study was reviewed and approved by the ethics committee of The University of Tokyo, Faculty of Medicine (Tokyo, Japan, #10699). This study was also registered to University hospital Medical Information Network Clinical Trial Registry (Tokyo, Japan #UMIN000019247). The Standards for Educational and Psychological Testing. AERA (American Educational Research Association), APA (American Psychological Association), NCME (the National Council on Measurement in Education). http://www.pearsonclinical.com/psychology/qualifications.html; 2014.